Frantic would be how I described my last two weeks. I have had very little free time to work on Conduit. Everything seems to have come at once! I got accepted for summer of code - adding SyncML support to Conduit. Alexandre Inacio Rosenfeld also got accepted to SOC to work on Ipod and media support in Conduit. I got accepted to speak at GUADEC, which I will be attending, providing all finances work out. It looks likely that, as part of my PhD, I will be spending a few months at ENAC (home of the Paparazzi UAV). I have been playing with barpanel, a very functional GNOME panel replacement. Grape is certainly an interesting UI/desktop mock up. If I had infinite spare time I migh have a hack on it, as an excuse to play with Clutter. Props to Jan Bodnar for his excellent Gtk+ and Cairo tutorials. My (bad) experiences with Ubuntu 8.04 can be best described by the following picture.. 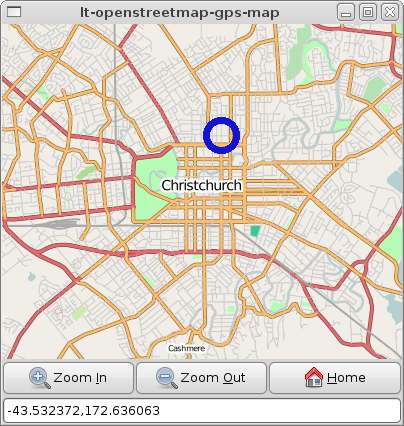 Somewhat tangentially related to my PhD, I have been hacking on a simple Openstreetmap GPS mapping/display widget. Basically because after investigating all the existing mapping programs on linux, none of them supported openstreetmap/openaerialmap and were able to be easily embedded. Things like double click, map dragging, scroll to zoom, etc are all handled automatically as you would expect. It caches downloaded tiles and it's pretty much complete at this point. I hope to be able to post code soon.